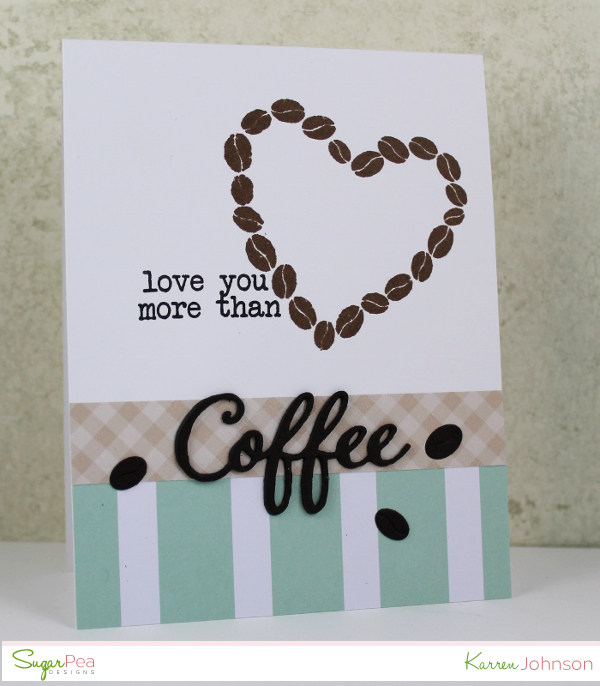 I pulled out Caffeine Addict and the associated Coffee Words to make my card. 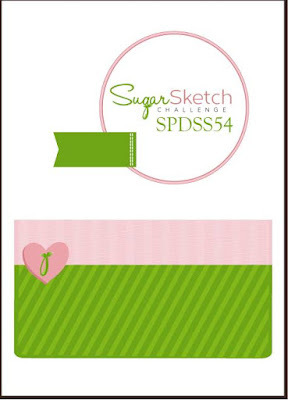 Again I went with the CAS version of the sketch :) I stamped the beans onto a white card base using Dark Chocolate ink and the sentiment using Versafine Onyx Black. The patterned papers comes from a couple of MFT paper packs and I quite like the look of the mint with the chocolate color. The coffee word and beans were die-cut from Dark Chocolate cardstock and adhered to the patterned paper. Great take on the sketch!! 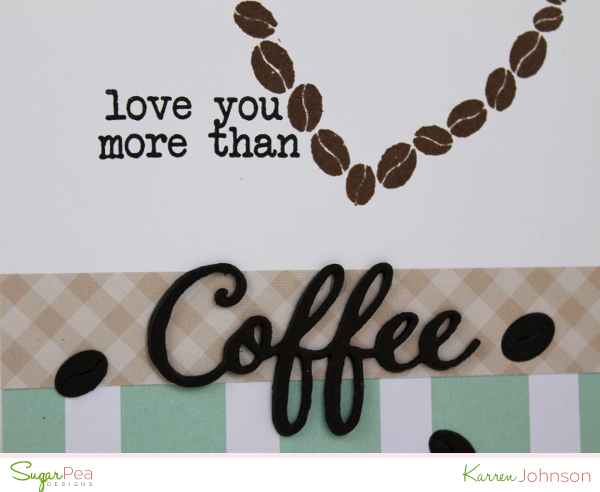 Love your card Karren! I have been meaning to ink up the coffee heart so thank you for the inspiration!